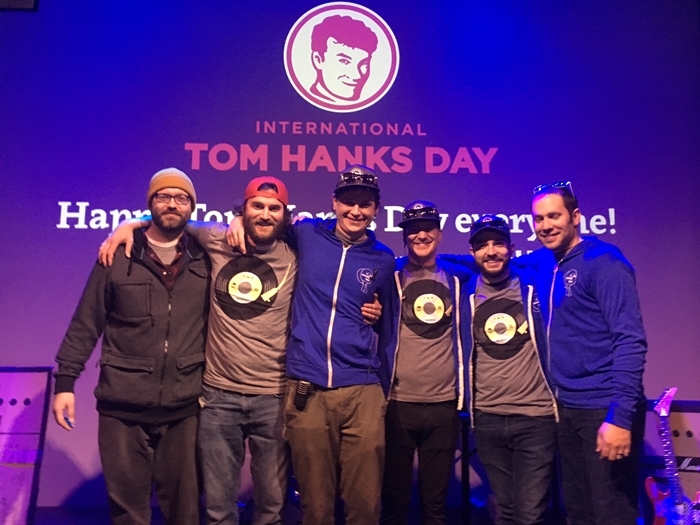 It may have started off as an April Fools’ joke back in 2004, but the day has grown into much more: an international and charitable event now supported by Tom Hanks. 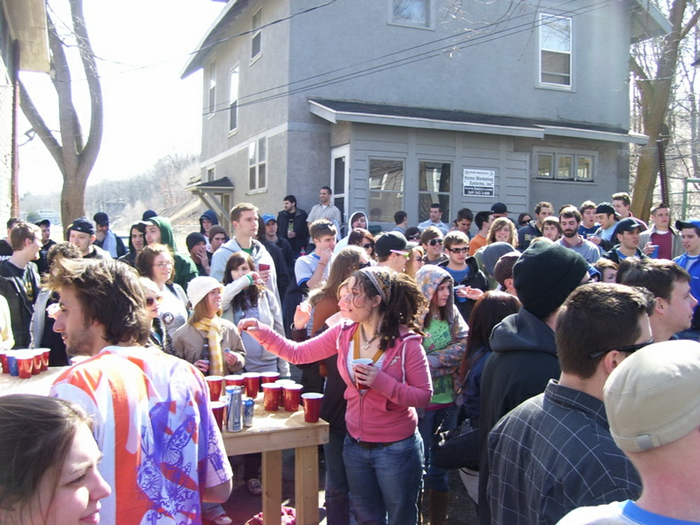 Every year on the Saturday closest to the first of April, a big, fun-packed party is held in Chicago. 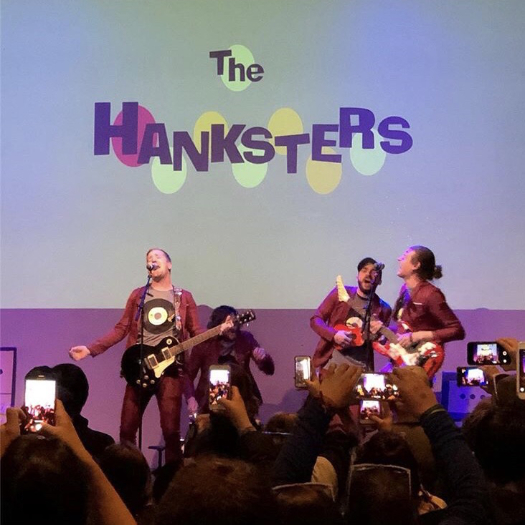 This annual party for fans (and non-fans alike) has expanded from its Kalamazoo, Michigan and Chicago roots and is celebrated annually in other cities and parts of the world too. 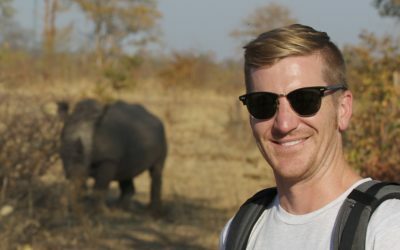 Locations have included Los Angeles, London, Cleveland, Toronto and Cape Town, South Africa. 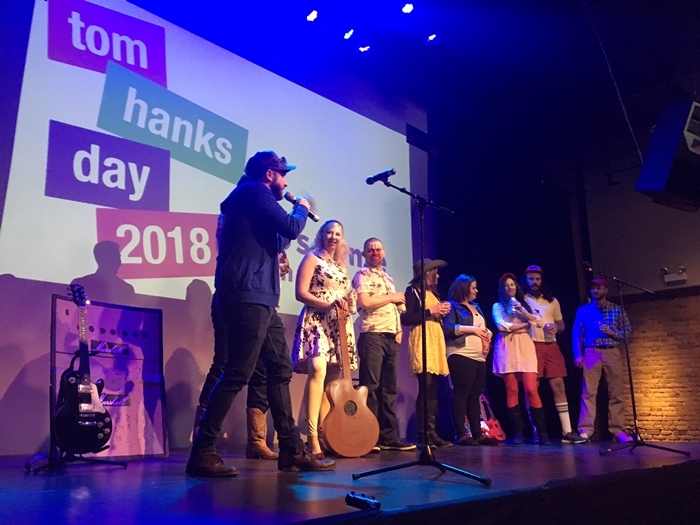 Attendees receive free raffle tickets and a chance to win great Tom Hanks’ memorabilia including posters, signed movies, signed Wilson volleyballs (from his movie Cast Away) and even one of Tom’s famous typewriters. 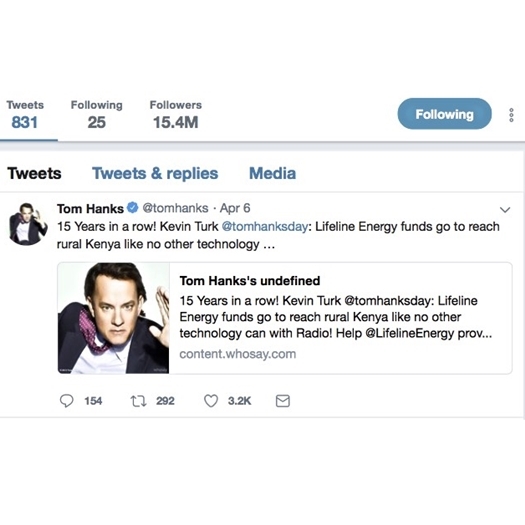 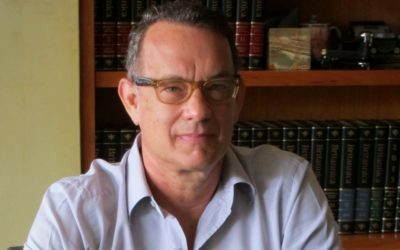 The proceeds from each International Tom Hanks Day benefit Lifeline Energy, given Tom’s long association with us. 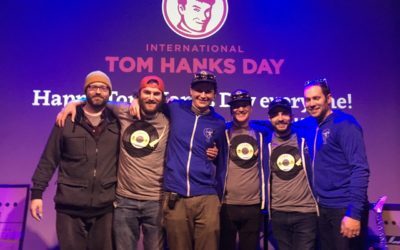 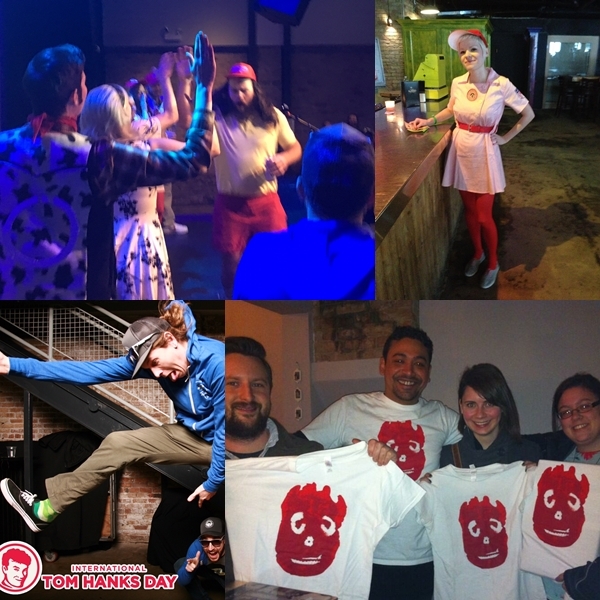 If you’re interested in hosting an event in your town, you can contact one the founders, Kevin Turk, via e-mail: kevin@thetomhanksday.com. 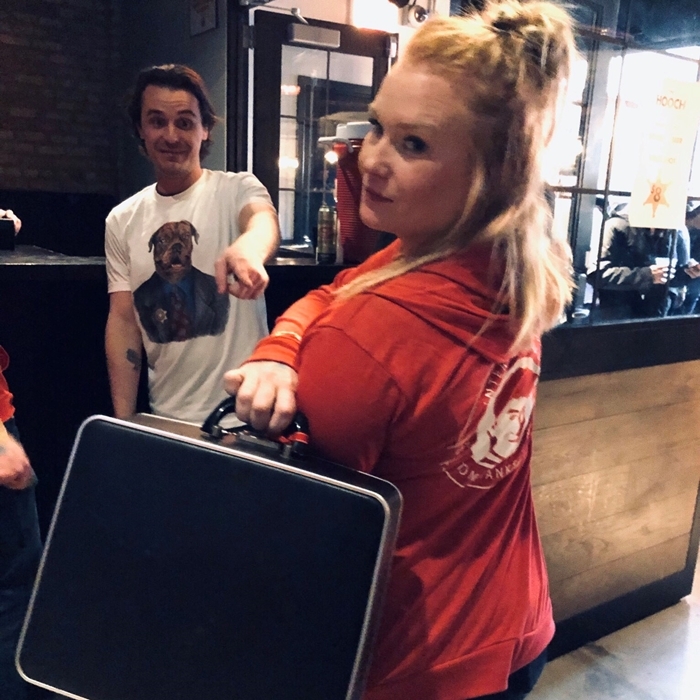 Perhaps a movie night at home is more your style. 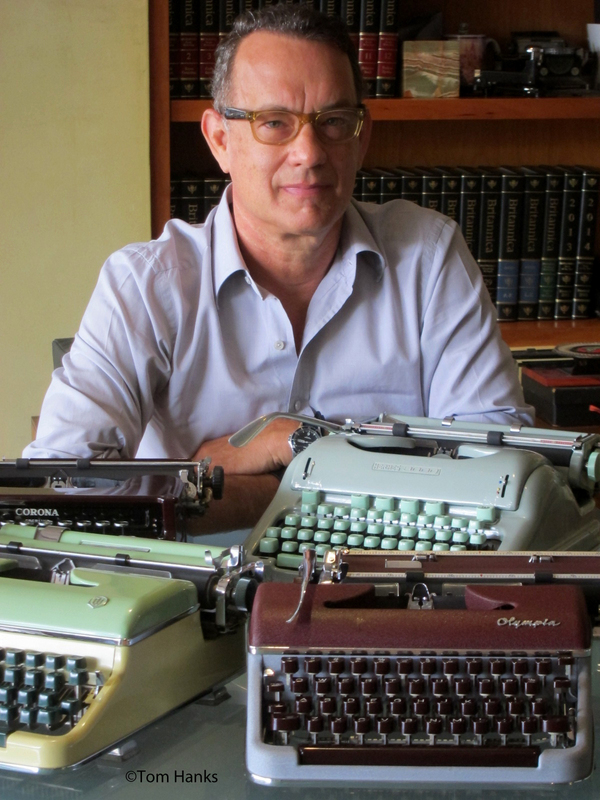 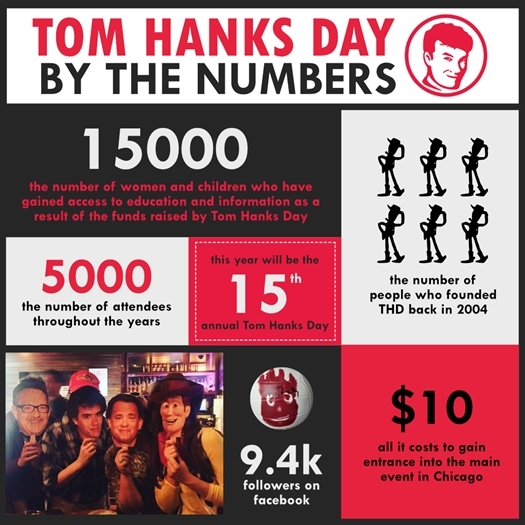 You and your friends could donate directly through the Tom Hanks Day website. 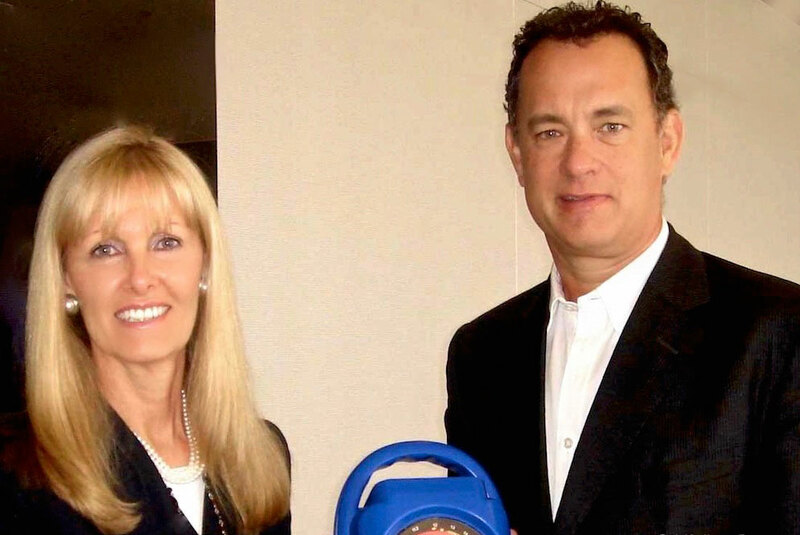 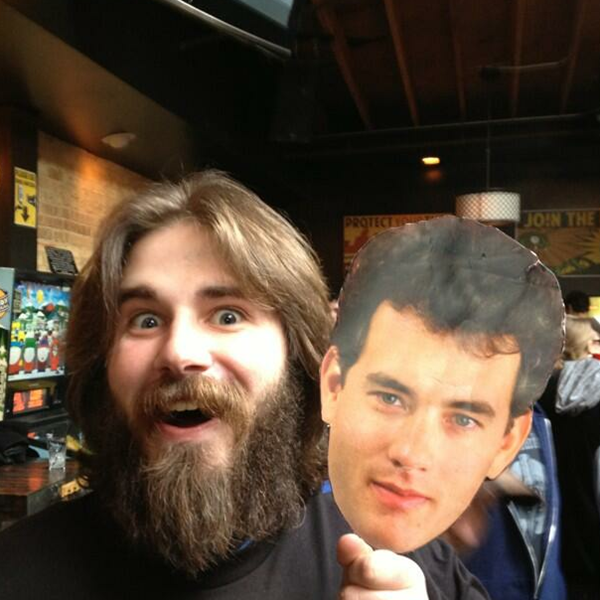 It’s hard to believe that it has been 10 whole years filled with Tom Hanks Day memories. 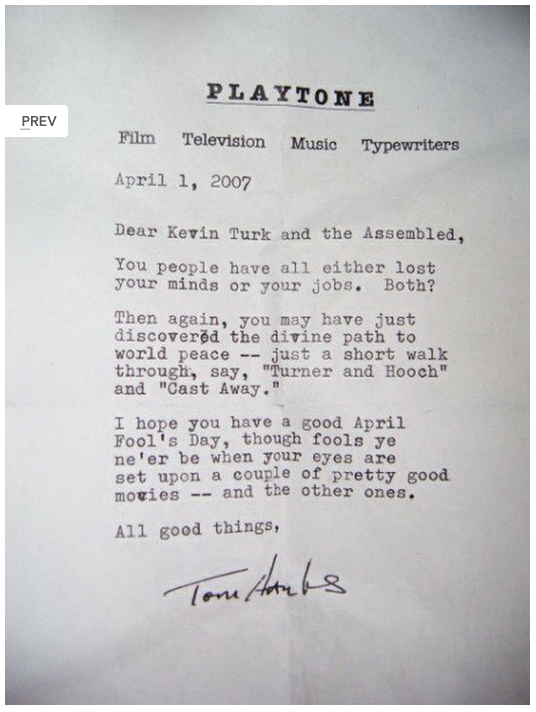 I still remember that first day sitting on our deck saying, “Hey, this was a lot of fun. 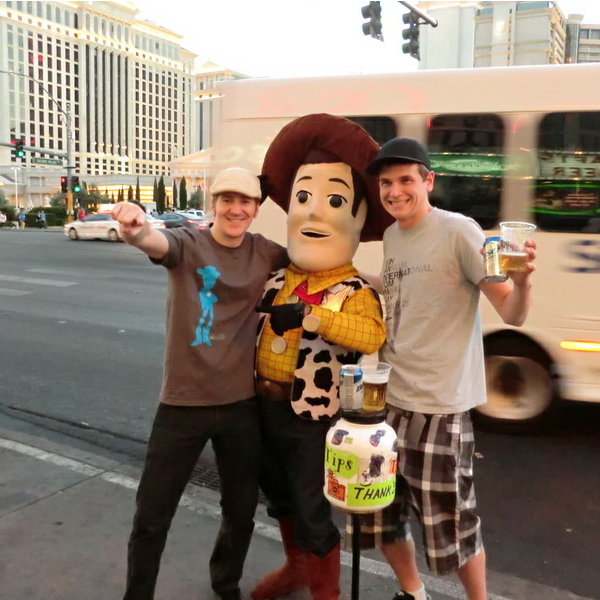 We should do this again next year.” No one knew that we would be at this for ten years. 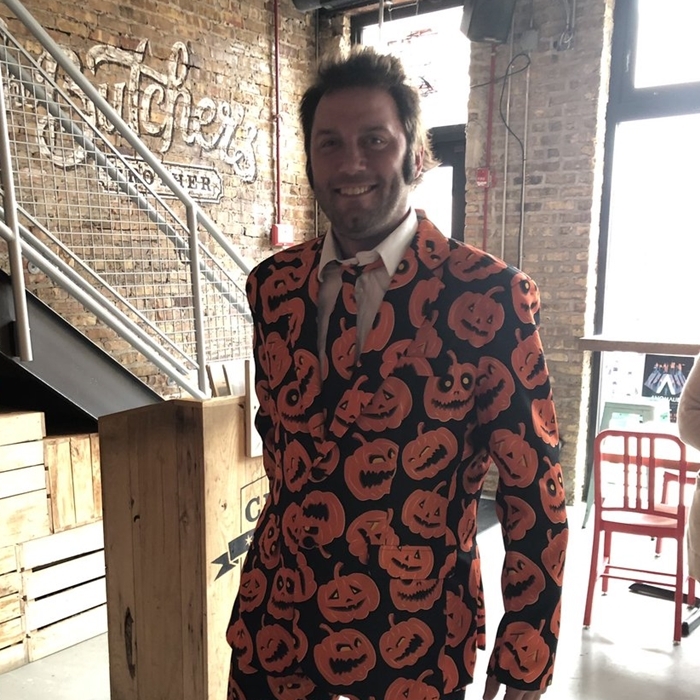 Let alone that we would be raising money for a great cause. 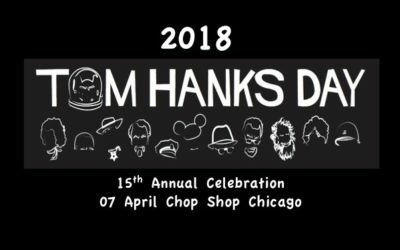 People love to hear that Tom Hanks sends us signed items for a raffle and that he just loves the idea of celebrating his “pretty good movies — and the other ones.” But I think the backbone of Tom Hanks Day is its philanthropic side. 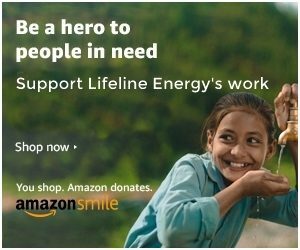 We would have ran the credits years ago if we weren’t working with the great people of Lifeline Energy. 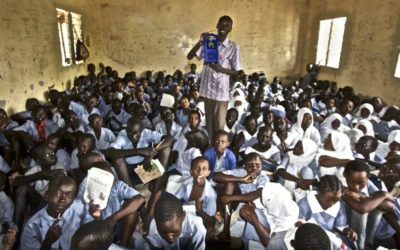 Not only do they support us through every step of the planning process they are always telling us the positive outcome that comes from ITHD. 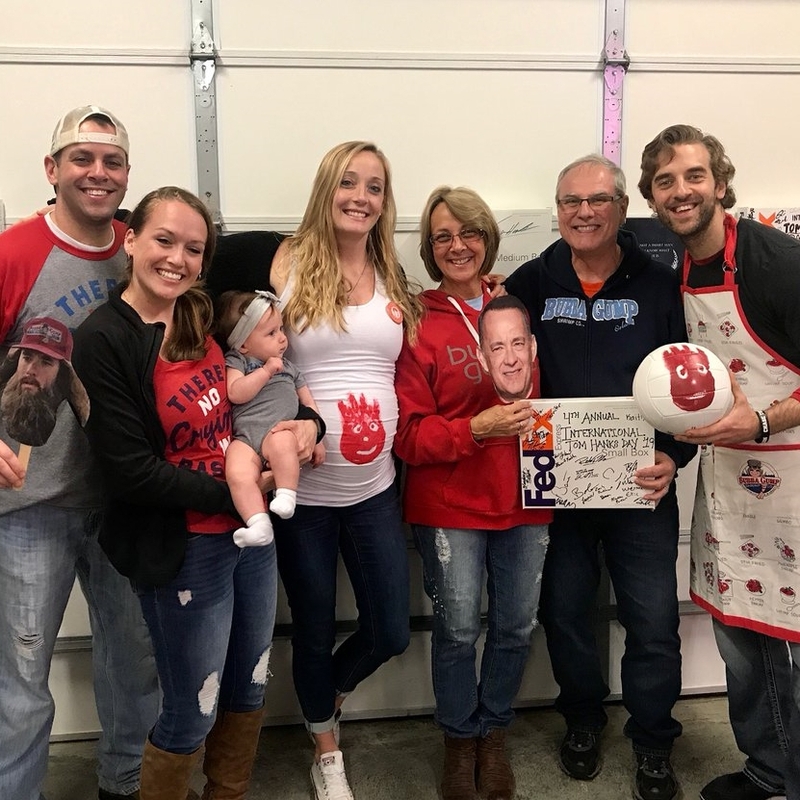 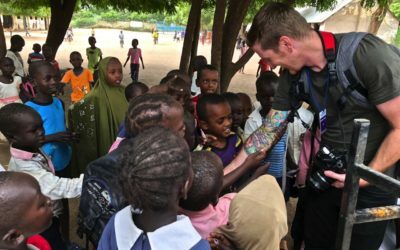 We owe them a huge debt of gratitude and an annual fundraisers doesn’t even touch our appreciation for their dedication over these last nine years.